Our Website of the Week this week goes to Hot Wok Kitchen for their quirky and utterly unique design. This kind of website was made to catch the eye of potential clients and make the browsing of its 10 pages a fun and interactive experience for customers of all ages. In their own words, the website was made to match the ‘high-impact branding’ of the business. Lee Kum Kee's Hot Wok Kitchen is a ready made branded concept that provides caterers with a front of house solution that fits into any food serving area. 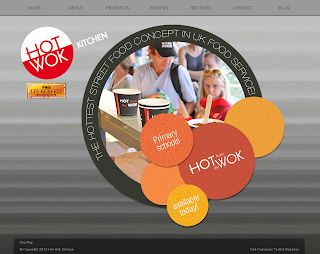 From Education to Business & Industry, Leisure to Outdoor Catering, the Hot Wok Kitchen team provides operators with support and materials that ensures effective on-site communication and sales demand! With such an accessible sales pitch, the client needed an appetising and attention-grabbing site. Five pages of this website were designed completely to the client’s specifications and included bespoke page dressing so that they stood out layout-wise from the average website. You can see this most obviously in action on the homepage where the appealing Slider Image, with its modern look and unique shape, is also extremely navigationally-friendly. Each slide, when clicked on, takes the website user to the relevant internal page. Using this strategy a web-page can use a whole variety of shapes, textures, fonts and special effects. The possibilities are endless! For such an active company, a Blog Set-Up is also a great idea. 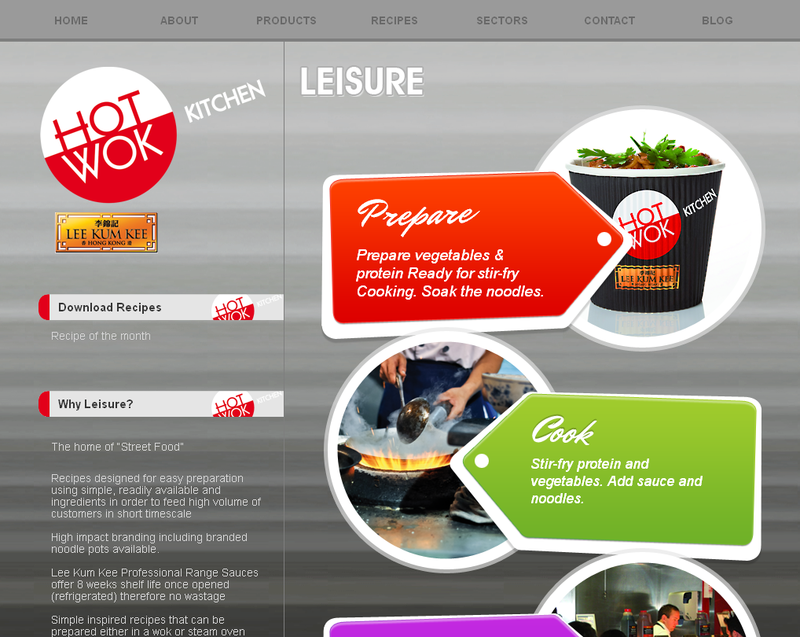 With Hot Wok Kitchen on a campaign to promote the benefits of noodle-based Street Food to youngsters as well as working adults, their blog will give them a voice to broadcast new recipes, tips news and even special events. Having a blog is a great way to discuss your company’s philosophy as well as form a close and personal relationship with your customer-base. 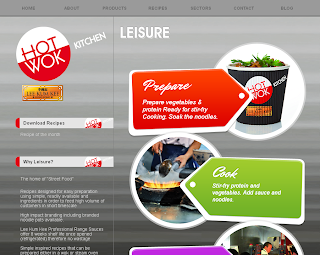 The client, Hot Wok Kitchen, were very happy with their website and stated that they found our team ‘very responsive and patient’ before giving us 5 stars for the build process. Toolkit Websites are expert web designers in Southampton, Hampshire, UK. Get in touch to see how we can help your business grow.